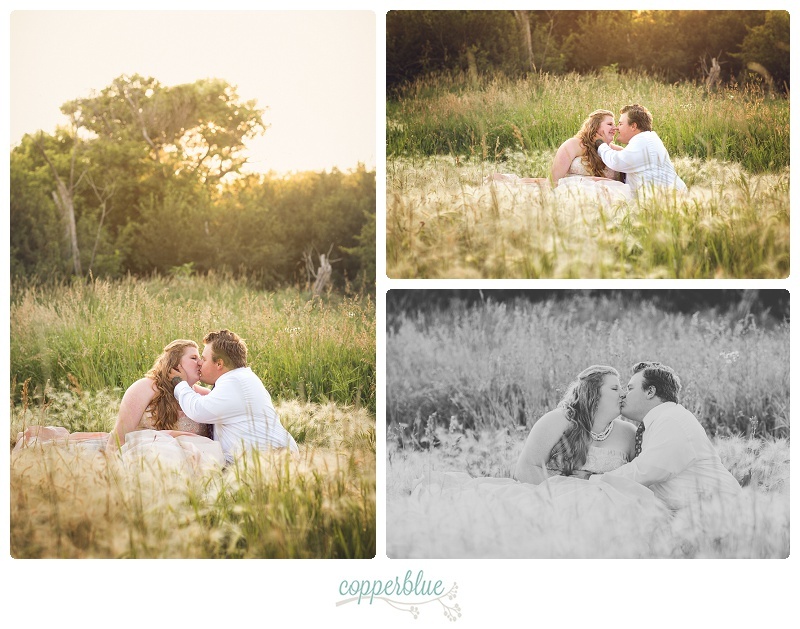 There are so many good reasons for a wedding after session. One is that, sometimes, the weather just isn’t on your side. The day of Kaitlyn and Conrad’s wedding at Agar’s Corner, it was pretty soggy. An after session gives you another chance for some of the photos you had your heart set on – ones that just couldn’t happen in the rain. In this case, Kaitlyn had another, and rather unique, reason for her country after session. Coming from a long line of champion Hereford breeders spanning five generations (back to 1889! 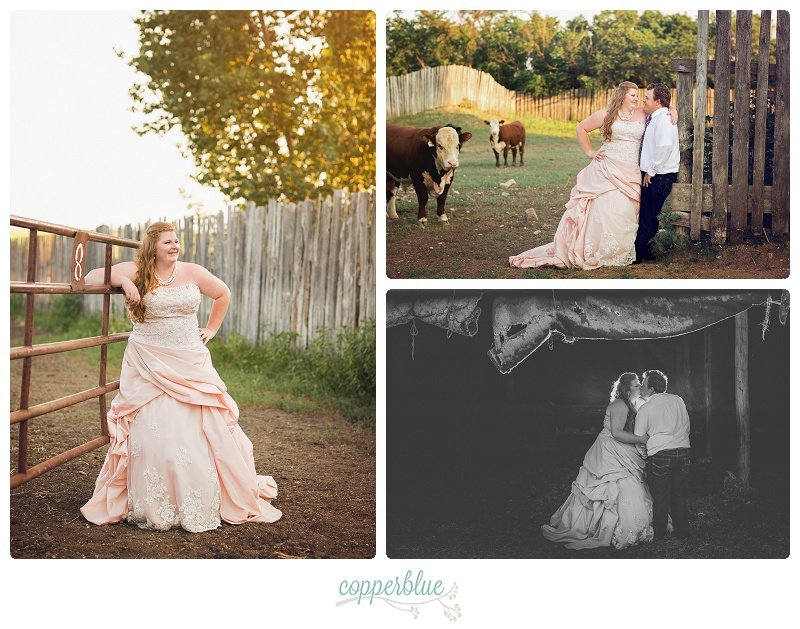 ), she had dearly wanted to incorporate her beloved cattle into her wedding day. However, the location just wasn’t practical. 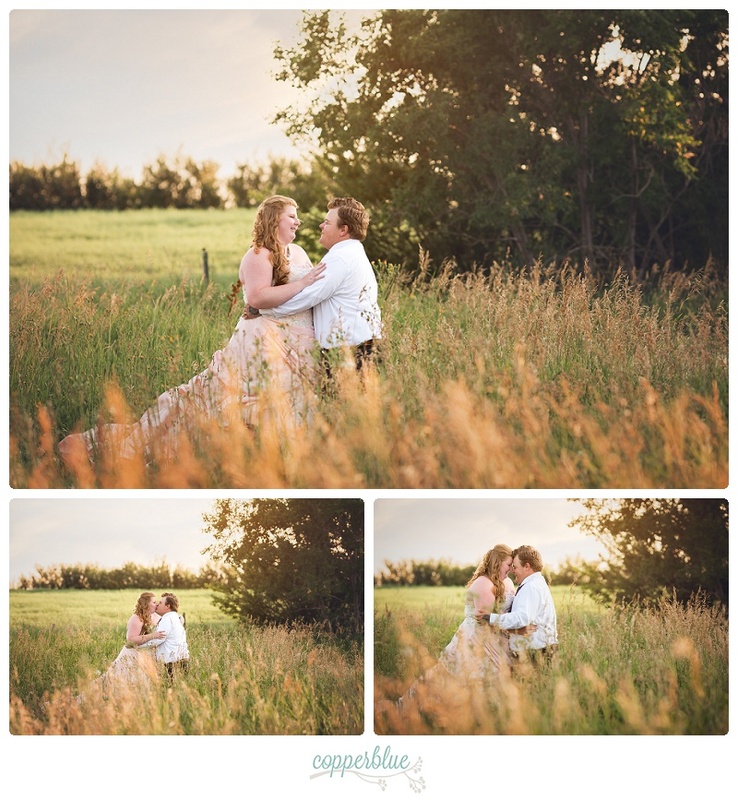 So instead, we headed out to The Cliffs Farm for an after session, and spent a relaxing sunny evening touring the area, hanging out with some curious cows, and creating some beautiful images. Here’s a few of our favorites from the evening! How fun!! I just love her dress. Love the colour of her gown! Love that they incorporated the family farm! I love her dress!! These are lovely. Thanks Allie! Enjoyed shooting this after session so much!